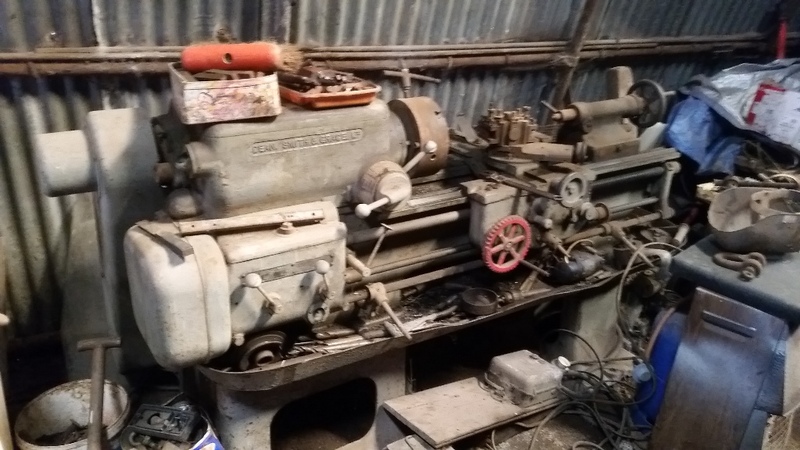 We have had a lathe in the shed for around 15 years which has not been used. It has been there since it was was moved from the old workshop in 2004 where it was used for odd jobs. I'm getting it up and running in anticipation of some metalwork jobs for Ghz bands along with the now 'little' CNC mill! Here's the photo from the shed, needs a bit of TLC! It was pretty much covered in old oil/grease and swarf and needed a shovel to dig all that out. The grease has had a protecting effect in some cases but a lot of rust on the sliders, chuck and tail stock. 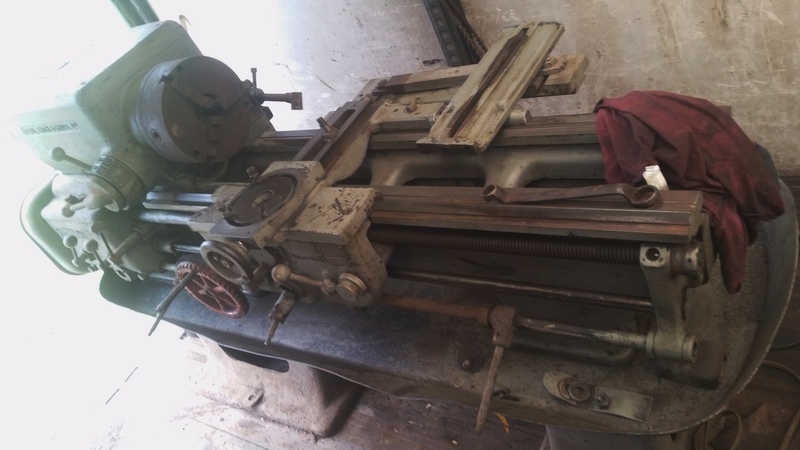 With a fair bit of Paraffin it has been cleaned down to something resembling a lathe, but also showed that it needs some work to make anything which needs any precision! 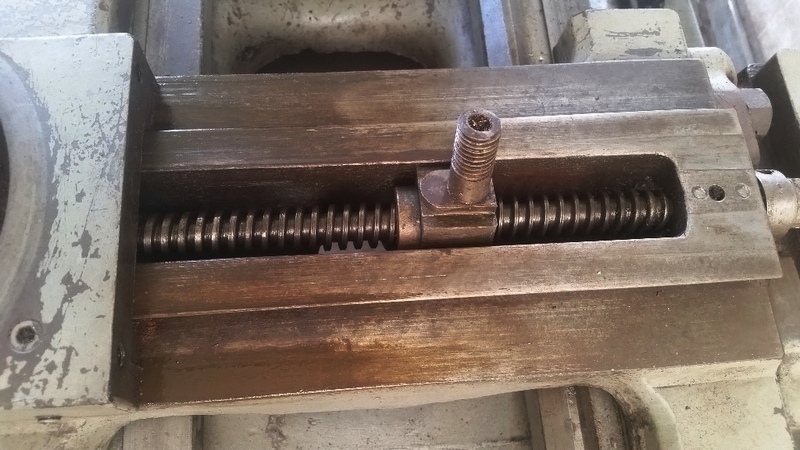 Here's the cross slide lead screw, there's about 3/4 turn of slack so rather worn but hopefully i can do something about that! All parts have been free'd off and oiled so it's now functional apart from the motor drive. I have managed to get it to run from a 10kva generator but only just, the starter box was chattering for ages before it fired up so not the ideal solution! I have decided to buy a 3 phase motor and inverter to allow me to do a 'soft' start which should overcome the volt drop on the cable and allow the motor to run nicely, it also allows me to reverse the motor/drive if required in the future. Lets hope this does the trick, otherwise i'm stuck without any drive! !